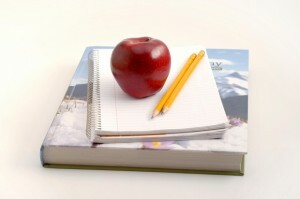 COLUMBUS, Ohio – Evolutionists are angered by a proposed bill in Ohio that would cut the state’s Common Core education requirements, thus allowing for creation/evolution debates in the classroom. As previously reported, several U.S. states have rejected the nationalized Common Core curriculum due to the standards’ promotion of debatable issues, including evolution and man-made global warming. In many cases, Christian homeschooling families and organizations have led the fight against the controversial standards. In Ohio, parents and educators alike have expressed displeasure over the recently-adopted Common Core requirements in their state. Robert Coburn, school board president for Garaway schools in Tuscarawas County, Ohio, told state lawmakers earlier this week that the students are “being handcuffed” by the nationalized curriculum. In an attempt to repeal the controversial Common Core standards, Ohio Representatives Andy Thompson and Matt Huffman introduced legislation that would replace Common Core in Ohio with more traditional standards. The legislation, titled House Bill 597 (H.B. 597), was introduced to the Ohio legislature on July 29. Soon after Thompson and Huffman introduced the bill, evolutionists raised concerns over the legislation’s effect on state science standards. The concerns stem from a particular paragraph in the legislation that vaguely prohibits the “political or religious interpretation” scientific evidence. “The standards in science shall be based in core existing disciplines of biology, chemistry, and physics; incorporate grade-level mathematics and be referenced to the mathematics standards; focus on academic and scientific knowledge rather than scientific processes; and prohibit political or religious interpretation of scientific facts in favor of another,” the bill states. When asked if H.B. 597 would open the door for in-classroom discussions of evolution versus creation, Thompson said students should frankly consider both sides of the argument. As a result, evolutionists and some educators have harshly criticized H.B. 597 and threatened to pursue legal challenges if the legislation is passed. However, Thompson says students should be free to discuss opposing viewpoints.